The Modica Railing planter is universal planter fitting all standard railings from 2in to 6in in width. 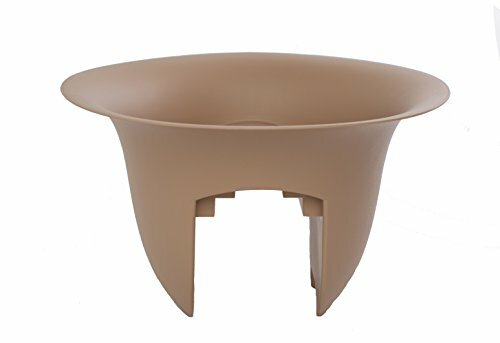 The planter has an outside diameter of 18in for great soil capacity and offers a large planting area. Featuring a water containment system with overflow drainage to keep your plant healthy on those hot summer days.